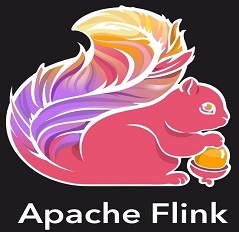 Apache Flink is an open source stream processing framework developed by the Apache Software Foundation. 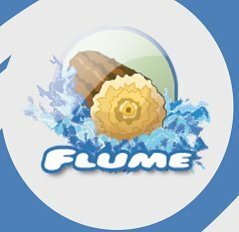 The core of Apache Flink is a distributed streaming dataflow engine written in Java and Scala. Flink executes arbitrary dataflow programs in a data-parallel and pipelined manner. Flink's pipelined runtime system enables the execution of bulk/batch and stream processing programs. Apache Hadoop is an Apache open source framework written in java that allows distributed processing of large datasets across clusters of computers using simple programming models. The Hadoop framework application works in an environment that provides distributed storage and computation across clusters of computers. 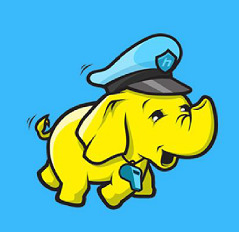 Hadoop is designed to scale up from single server to thousands of machines, each offering local computation and storage. 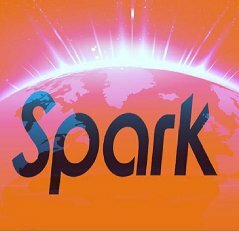 Apache Spark is an open source cluster computing framework. Originally developed at the University of California, Berkeley's AMPLab, the Spark codebase was later donated to the Apache Software Foundation, which has maintained it since. Spark provides an interface for programming entire clusters with implicit data parallelism and fault-tolerance. Apache Hive is a data warehouse infrastructure built on top of Hadoop for providing data summarization, query, and analysis. Hive gives an SQL-like interface to query data stored in various databases and file systems that integrate with Hadoop. The traditional SQL queries must be implemented in the MapReduce Java API to execute SQL applications and queries over a distributed data. Hive provides the necessary SQL abstraction to integrate SQL-like Queries (HiveQL) into the underlying Java API without the need to implement queries in the low-level Java API. 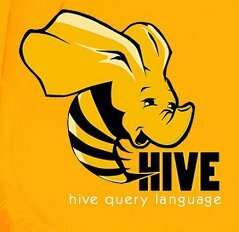 Since most of the data warehousing application work with SQL based querying language, Hive supports easy portability of SQL-based application to Hadoop. 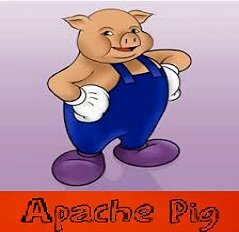 Apache ZooKeeper is a software project of the Apache Software Foundation. It is essentially a distributed hierarchical key-value store, which is used to provide a distributed configuration service, synchronization service, and naming registry for large distributed systems. 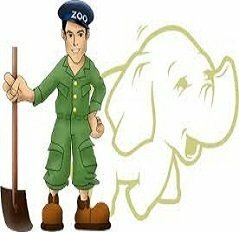 ZooKeeper was a sub-project of Hadoop but is now a top-level project in its own right. ZooKeeper's architecture supports high availability through redundant services. The clients can thus ask another ZooKeeper leader if the first fails to answer. ZooKeeper nodes store their data in a hierarchical name space, much like a file system or a tree data structure. Clients can read from and write to the nodes and in this way have a shared configuration service. Updates are totally ordered. Apache Sqoop is a command-line interface application for transferring data between relational databases and Hadoop. It supports incremental loads of a single table or a free form SQL query as well as saved jobs which can be run multiple times to import updates made to a database since the last import. Imports can also be used to populate tables in Hive or HBase. Exports can be used to put data from Hadoop into a relational database. 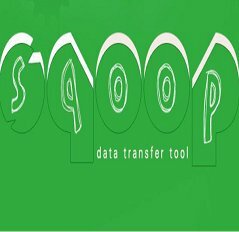 Sqoop got the name from sql+hadoop. Sqoop became a top-level Apache project in March 2012. HBase is an open source, non-relational, distributed database modeled after Google's BigTable and is written in Java. It is developed as part of Apache Software Foundation's Apache Hadoop project and runs on top of HDFS (Hadoop Distributed File System), providing BigTable-like capabilities for Hadoop. That is, it provides a fault-tolerant way of storing large quantities of sparse data (small amounts of information caught within a large collection of empty or unimportant data, such as finding the 50 largest items in a group of 2 billion records, or finding the non-zero items representing less than 0.1% of a huge collection). 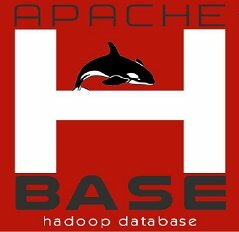 Apache HCatalog is a table management layer that exposes Hive metadata to other Hadoop applications. HCatalog's table abstraction presents users with a relational view of data in the Hadoop Distributed File System (HDFS) and ensures that users need not worry about where or in what format their data is stored. HCatalog displays data from RCFile format, text files, or sequence files in a tabular view. It also provides REST APIs so that external systems can access these table's metadata. HCatalog is built on top of the Hive metastore and incorporates components from the Hive DDL. HCatalog provides read and write interfaces for Pig and MapReduce and uses Hive's command line interface for issuing data definition and metadata exploration commands. It also presents a REST interface to allow external tools access to Hive DDL (Data Definition Language) operations, such as "create table" and "describe table". 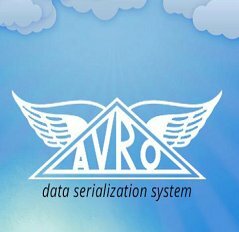 Apache Avro is a remote procedure call and data serialization framework developed within Apache's Hadoop project. It uses JSON for defining data types and protocols, and serializes data in a compact binary format. Its primary use is in Apache Hadoop, where it can provide both a serialization format for persistent data, and a wire format for communication between Hadoop nodes, and from client programs to the Hadoop services. Apache Mahout is a project of the Apache Software Foundation to produce free implementations of distributed or otherwise scalable machine learning algorithms focused primarily in the areas of collaborative filtering, clustering and classification. Many of the implementations use the Apache Hadoop platform. 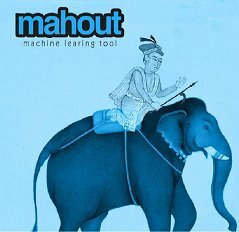 Mahout also provides Java libraries for common maths operations (focused on linear algebra and statistics) and primitive Java collections. While Mahout's core algorithms for clustering, classification and batch based collaborative filtering are implemented on top of Apache Hadoop using the map/reduce paradigm, it does not restrict contributions to Hadoop-based implementations. 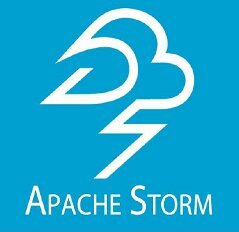 Apache Storm is a distributed stream processing computation framework written predominantly in the Clojure programming language. Originally created by Nathan Marz and team at BackType, the project was open sourced after being acquired by Twitter. It uses custom created "spouts" and "bolts" to define information sources and manipulations to allow batch, distributed processing of streaming data. The initial release was on 17 September 2011. A Storm application is designed as a "topology" in the shape of a directed acyclic graph (DAG) with spouts and bolts acting as the graph vertices. Edges on the graph are named streams and direct data from one node to another. Together, the topology acts as a data transformation pipeline. At a superficial level the general topology structure is similar to a MapReduce job, with the main difference being that data is processed in real time as opposed to in individual batches. 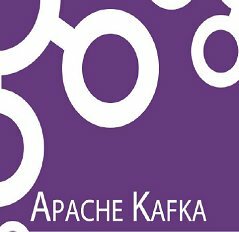 Apache Kafka is an open-source message broker project developed by the Apache Software Foundation written in Scala. The project aims to provide a unified, high-throughput, low-latency platform for handling real-time data feeds. It is, in its essence, a "massively scalable pub/sub message queue architected as a distributed transaction log," making it highly valuable for enterprise infrastructures to process streaming data. Apache Cassandra is a free and open-source distributed database management system designed to handle large amounts of data across many commodity servers, providing high availability with no single point of failure. Cassandra offers robust support for clusters spanning multiple datacenters, with asynchronous masterless replication allowing low latency operations for all clients. 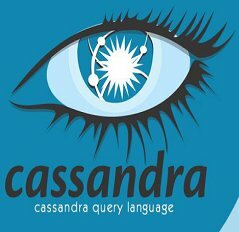 Cassandra also places a high value on performance. In 2012, University of Toronto researchers studying NoSQL systems concluded that "In terms of scalability, there is a clear winner throughout our experiments. Cassandra achieves the highest throughput for the maximum number of nodes in all experiments" although "this comes at the price of high write and read latencies." 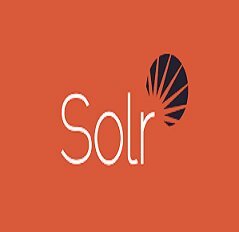 Apache Solr is an open source enterprise search platform, written in Java, from the Apache Lucene project. Its major features include full-text search, hit highlighting, faceted search, real-time indexing, dynamic clustering, database integration, NoSQL features and rich document (e.g., Word, PDF) handling. Providing distributed search and index replication, Solr is designed for scalability and fault tolerance. Solr is the second-most popular enterprise search engine after Elasticsearch. Solr runs as a standalone full-text search server. It uses the Lucene Java search library at its core for full-text indexing and search, and has REST-like HTTP/XML and JSON APIs that make it usable from most popular programming languages. Solr's external configuration allows it to be tailored to many types of application without Java coding, and it has a plugin architecture to support more advanced customization. Apache Oozie is a server-based workflow scheduling system to manage Hadoop jobs. Workflows in Oozie are defined as a collection of control flow and action nodes in a directed acyclic graph. Control flow nodes define the beginning and the end of a workflow (start, end and failure nodes) as well as a mechanism to control the workflow execution path (decision, fork and join nodes). Action nodes are the mechanism by which a workflow triggers the execution of a computation/processing task. 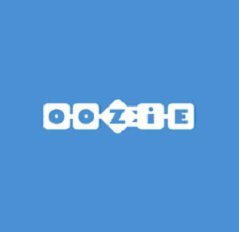 Oozie provides support for different types of actions including Hadoop MapReduce, Hadoop distributed file system operations, Pig, SSH, and email. Oozie can also be extended to support additional types of actions. 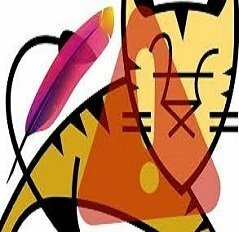 Apache Tomcat, often referred to as Tomcat, is an open-source Java Servlet Container developed by the Apache Software Foundation (ASF). Tomcat implements several Java EE specifications including Java Servlet, JavaServer Pages (JSP), Java EL, and WebSocket, and provides a "pure Java" HTTP web server environment in which Java code can run. MySQL is an open-source relational database management system (RDBMS). It's name is a combination of "My", the name of co-founder Michael Widenius' daughter, and "SQL", the abbreviation for Structured Query Language. The MySQL development project has made its source code available under the terms of the GNU General Public License, as well as under a variety of proprietary agreements. 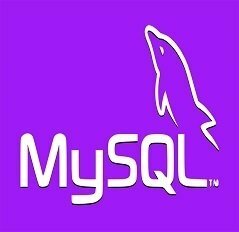 MySQL was owned and sponsored by a single for-profit firm, the Swedish company MySQL AB, now owned by Oracle Corporation.